Retired Bayern Munich great Philipp Lahm has been voted German Footballer of the Year for 2016/17. The former Bayern and Germany captain claimed the prize for a third time, ahead of Real Madrid midfielder Toni Kroos and Borussia Dortmund striker Pierre-Emerick Aubameyang. Votes were cast by a total of 855 members of the Association of German Sports Journalists. "It's a huge accolade, I'm really delighted about it," said Lahm, who made over 750 first-team appearances for club and country over the course of a decorated career. "I think German journalists had my entire career in mind with this vote." Lahm won the last of his eight Bundesliga titles in 2016/17, adding to his collection of six DFB Cups, the 2012/13 UEFA Champions League and the FIFA 2014 World Cup. Think you know the eight-time Bundesliga champion? 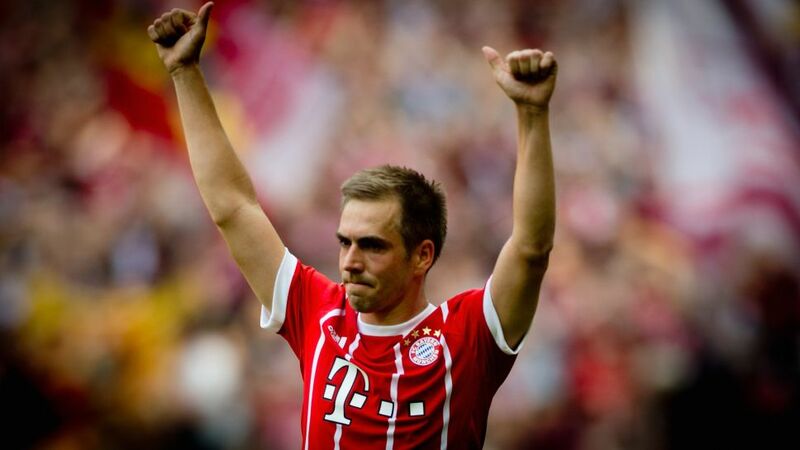 Put your Philipp Lahm knowledge to the test! Julian Nagelsmann was also honoured, scooping the 2016/17 Coach of the Year award after steering Hoffenheim to a surprise fourth-placed finish. The youngest coach in Bundesliga history shaded the ballot ahead of Freiburg counterpart Christian Streich and RB Leipzig's Ralph Hasenhüttl. "Every prize has its own value, whether it's voted for by the fans or journalists," the 30-year-old said. "They sit down every day to critique the football world. I'm delighted to win, but the recognition is all the more reason to work even harder. It shows we're on the right path."